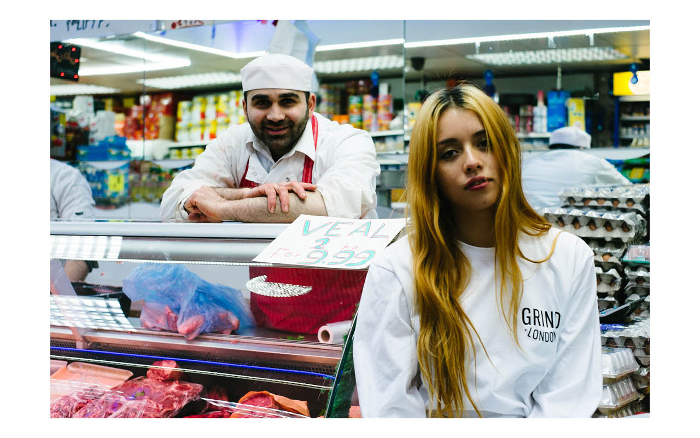 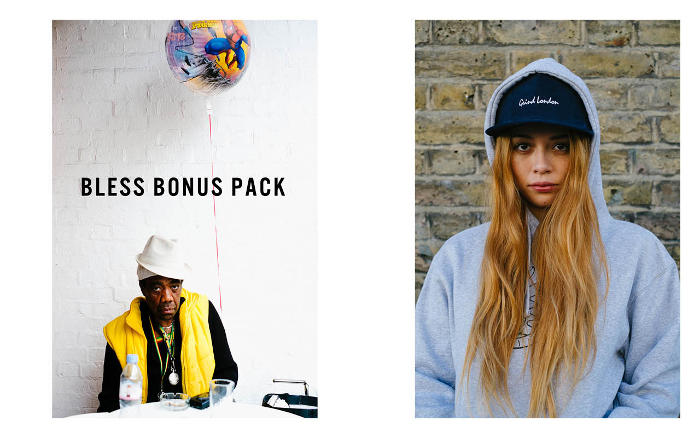 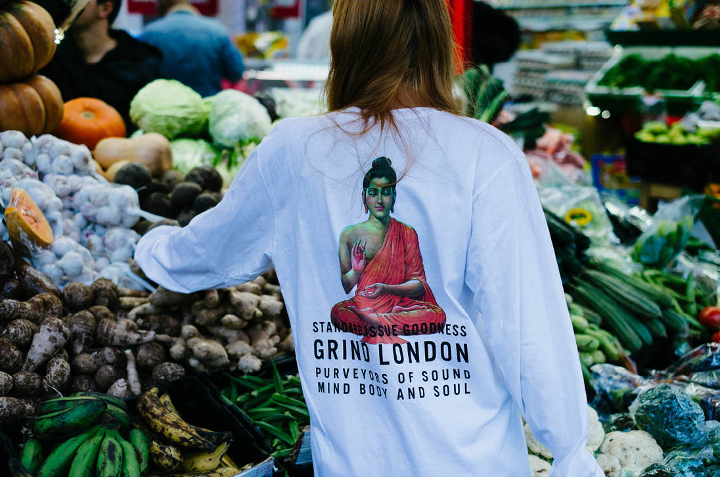 Grind London follow up their recent ‘Jah Bless’ collection with a ‘Bonus Pack’ of designs, building on the styles of the previous with new tees, longsleeves, fleece and headwear. 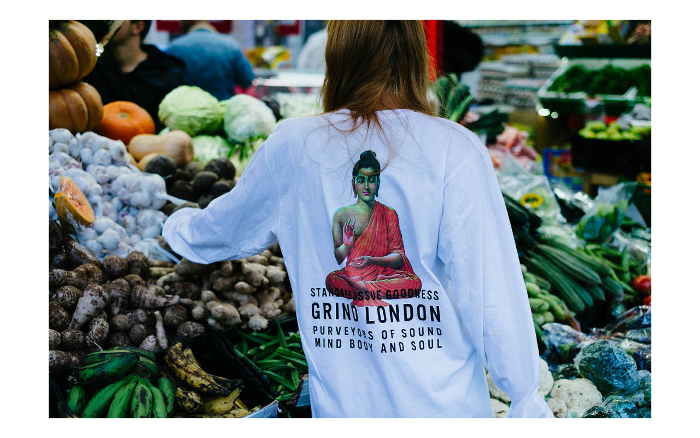 The central graphic takes the ‘Bless’ theme in a new direction with the ‘Mind Body and Soul’ design, a full colour graphic available on both short and long sleeved white tees. 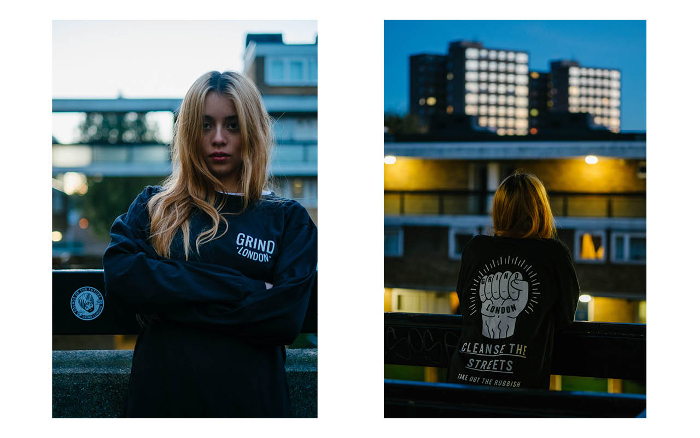 A second longsleeve comes in black with a white illustration printed large on the back and if you know me by now, you know this is the pick of the lot for me. 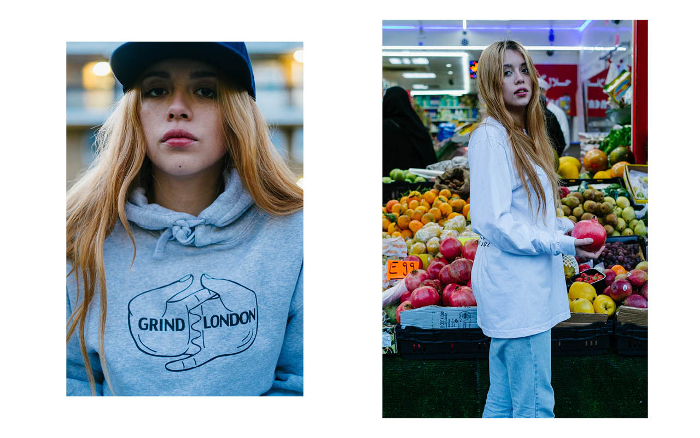 Both longleeves share a small Grind Logo on the chest with raglan cut crewneck sweats in black and navy, and the fleece offering is continued with a heather grey pullover hood with the brand’s Unity logo printed across the chest. 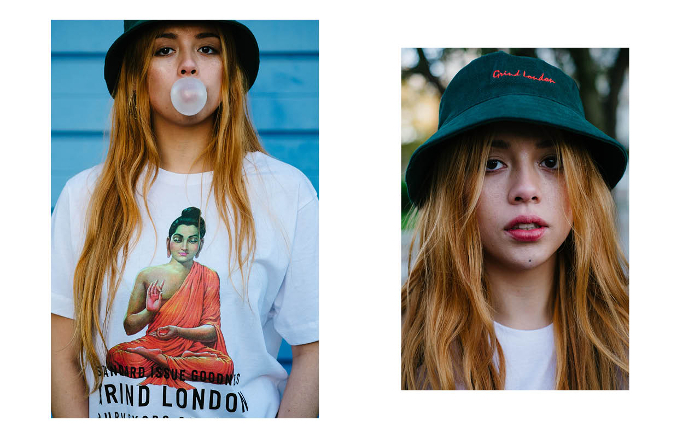 Completing the mini-range are two bucket hats in the same style as those in the Jah Bless collection and a navy corduroy cap. 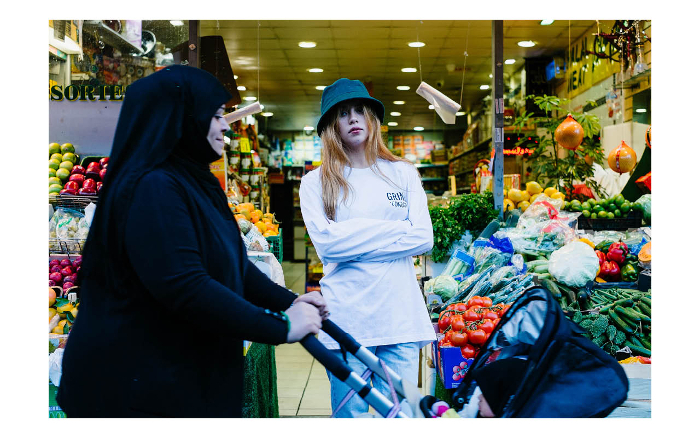 Bucket hats come in navy/yellow and forest green/red and all headwear features and embroidered Grind London script logo.